International Women’s Day and The Chance You Won’t Return Giveaway! Amelia Earhart was the first woman to fly solo across the Atlantic and nonstop across the United States, and she was the first person to fly solo over the Pacific between Honolulu and Oakland, California. She married publisher/promoter/manager George Palmer Putnam, but not before making it clear that she didn’t want their relationship to interfere with her personal or professional goals. She was the Aviation Editor for Cosmopolitan magazine and wrote several books about her flying experiences. She was friends with first lady Eleanor Roosevelt, another amazing woman from history. She had her own clothing line–it’s not just for contemporary celebrities. Before becoming a pilot, she worked as a nurse’s aide in a Canadian military hospital during WWI, studied pre-med at Columbia, and was a social worker in Boston. Want more historical trivia about Amelia Earhart (plus some family drama, driver’s ed, mental health, and kissing)? Enter this giveaway to win a signed copy of The Chance You Won’t Return! Entries are open until March 15. Want bonus points? Share your favorite female historical figure (or figures, there are a lot of great ladies to choose from) in the comments! Happy Friday, everyone! Somehow it’s the last Friday in August, which means I want to soak up every possible second of summer before it’s over. Let’s get the weekend started with a look at what I’ve been reading and writing in fifteen words or fewer. Like reading about the people in the Capitol in The Hunger Games, but real. Happy Amelia Earhart Day! Plus Giveaway! Happy birthday, Amelia Earhart! Today would have been the famous pilot’s 118th birthday. Despite having been born over a hundred years ago and having disappeared over the Pacific seventy-eight years ago, she still fascinates and inspires the public. And, obviously, her presence and history are a big part of The Chance You Won’t Return. What better way to celebrate Amelia Earhart’s birthday than to host a giveaway? Enter the Rafflecopter below to win a signed copy of The Chance You Won’t Return, plus some book swag and a few extra goodies. For extra entries, follow me on Facebook and Twitter, tweet with the hashtag #TCYWRgiveaway, and comment below about where you’d go if you could travel anywhere. Thanks to Amelia Earhart for her continued inspiration, and happy Amelia Earhart Day to all my wonderful readers! Note: Giveaway for US residents only. I love international readers, but postal is expensive. Some fun Amelia Earhart news for the week! A film of Amelia Earhart, taken just before her final attempted flight around the world, surfaced recently after sitting on a shelf for fifty years. It’s unclear whether this footage was taken before her first attempt or second attempt, but either way it’s a look at Earhart within a year of her disappearance over the Pacific. It doesn’t add a lot to Earhart’s history or clear up any details of her disappearance, but for me it’s a reminder that the public is still interested in her life and her story. Learning about her during the research process for The Chance You Won’t Return was awesome, and i loved realizing why Alex’s mom connected to Earhart so deeply. Even these little glimpses of her feel like they give us a clearer picture into who Earhart was and where she went. 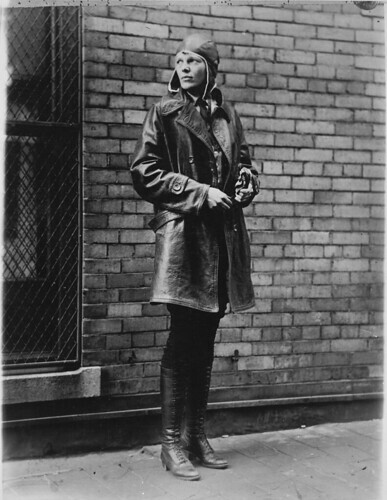 Happy 116th Birthday, Amelia Earhart! Happy birthday to my favorite female pilot, Amelia Earhart! She was born on July 24, 1897, making this the 116th anniversary of her birth. 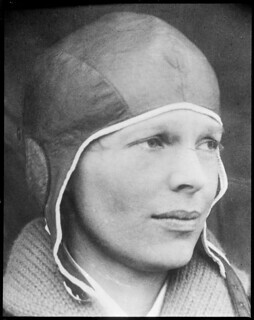 Although Earhart herself doesn’t appear in The Chance You Won’t Return, she’s an important figure in the novel. I’ve mentioned before that I first got the idea for the book when the line “My mother thinks she’s Amelia Earhart” popped into my head. As I started writing, I found that Earhart was really the perfect historical figure to have permeating the novel. She was bold and smart and talented and pushed major boundaries for women. But she was also very much a public figure in that she had a carefully crafted public persona, much like a celebrity today would have. That, along with her disappearance, makes her such an enigmatic figure and one we always want to know better. In the same way, much of The Chance You Won’t Return is about the secrets we carry and how we function in our public and private lives. Happy Fourth of July, everyone! One reason I like living in New England is that Revolutionary War history is all around. From the Old North Bridge in Concord, to the Granary Burying Ground on Tremont Street, to the Bunker Hill Monument, the American revolution still feels very much like a part of the area. 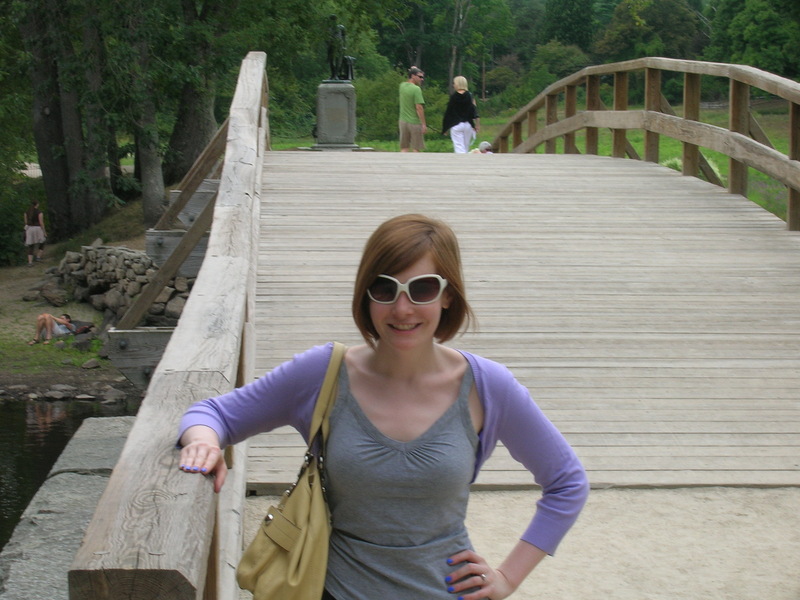 Me at the Old North Bridge. Also, one of my favorite things is to see historical re-enactors/tour leaders shopping for groceries or riding the T in colonial garb. History lives! My mom read this poem aloud to my brother and me when I was around seven or eight. It’s not exactly historically accurate (sorry, William Dawes! ), but it’s a fun way to introduce kids to an exciting night in American history. Before we started really learning about the American Revolution at school, I read about it in the Felicity books. Again, maybe not the most historically accurate books, but the series is a great way to start kids thinking about what the American Revolution meant for kids living in the colonies at that point. The Octavian Nothing series is one I recommend to people who assume that YA is all about vampires and fluffy crushes. Anderson’s writing is stunning, and his story about a slave boy/social experiment who gets caught up in the Revolutionary War is brilliant. Not your typical look at the American Revolution, obviously, but an essential one. Hope you all have a happy Fourth of July! Of course now I want indie bio-songs for all the classic authors. This week is the national Days of Remembrance, which commemorates Holocaust victims and survivors. I remember learning about the Holocaust in school, primarily with two main books. The first was Number the Stars by Lois Lowry, which my class read in third or fourth grade. I knew about WWII in general, but this was the first time I remembered hearing about the significant threat to Jewish people during that time. The book provided a safe way to learn about a very scary part of history; the threat to Ellen’s family is very real but Lowry is careful not to go into too much detail about what could have faced the Rosens if they’d been caught. Night by Elie Wiesel was another significant book in my learning about the Holocaust. By the time I read it, I was in eighth grade and knew millions of innocent people had been tortured and killed. I didn’t expect Night to affect me so, but I read it in one evening and spent the entire time crying. For me, it was an opportunity to understand the Holocaust in a very personal way. Somehow it’s easy to gloss over statistics about how many people died; it’s far harder to ignore real stories about the horrors that individual people experienced. Which is why the Days of Remembrance and honoring all the specific victims and survivors are essential. We need to hear their stories and remember that these were/are specific people with specific lives. They were mothers and singers and readers and kids who liked silly jokes and lawyers and on and on. All of their stories are valuable and need to be shared. The United States Holocaust Memorial Museum has resources for taking part in the Days of Remembrance, including a webcast of the national ceremony on Thursday, April 11 at 11:00am. In case you can’t take part in an organized event, you can also share the stories of victims and listen to the stories of survivors, as documented on the museum website. Make sure their voices are heard. I love this comparison between a cat at hunt and a writer at work, especially that last stanza. Check out a few other translations as well. There’s a Book Thief movie in the works? And it’s going to star Geoffrey Rush as Hans Hubermann? So. Freaking. Excited. Emily Watson (no, not Emma Watson, I had to read that twice) is slated to play Rosa Hubermann and Sophie Nelisse is Liesel. I haven’t seen either of them in films before, but I’m very hopeful for this cast. 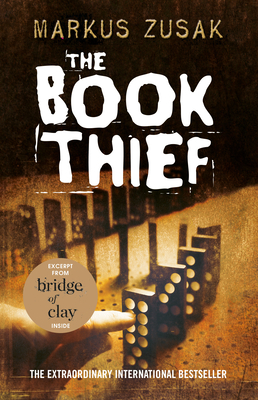 The Book Thief is one of the perfect recommendations for someone who looks down on YA as a genre. 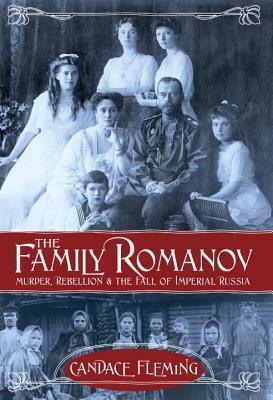 I hope a movie version captures the complexity of the novel and introduces it to a wider audience. Also, really curious to see how they handle Death’s voice throughout.